Leather handbag by Elk Accessories. 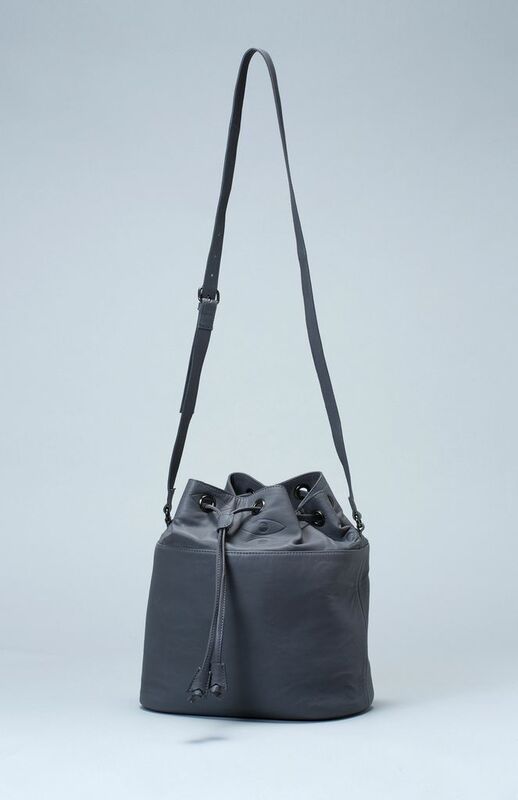 H310 x W390 x D170mm Colour: Grey/blue A great everyday bag, the Abake Bucket Bag will be able to fit in all of your essential bits and pieces. It is made from 100% sheep leather, giving it a soft hand feel. The upper panel features a unique embossed eye print. Inside you will find a zippered pouch to hold precious items and a spot for your mobile phone. You can easily adjust the strap to your desired length and fasten the bag with the draw string and tab.